Researching and choosing the cycling route is also part of the adventure, forward planning allows cycling enthusiasts to research their desired route and gives them time to shop around for a trip which meets their requirements, as well as providing ample time for training and preparation. Europe has long been a popular cycling destination. Home to some of the world’s finest routes, offering excellent infrastructure and signage, all set in a stunning natural backdrop. Eurovelo offer a network of 17 routes in total, 15 of them long distance, which span the entire length of Europe, connecting the continent. The total length is estimated to be in excess of over 70,000km, comprised of a mixture of national cycle paths with new stretches which connect them together. The beauty of such routes is that cyclists are not confined to one country and can choose to follow routes which traverse several borders. Whatever the preference, there are numerous routes and destinations to choose from, with river valleys, mountain climbs and stunning coastlines – something to suit every taste and cycling ability. Home of the Tour de France, France is one of the most sought-after cycling destinations in the world, offering an exceptionally varied choice of cycling from mountains to river valleys and stunning coastlines all on excellent cycle paths. A beautiful tour suitable for regular cyclists with an average riding of 52 miles a day, this trip enjoys a beautiful route, taking riders from the Atlantic Ocean all the way to the shores of Lake Geneva along pleasantly quiet roads with minimal traffic. The route follows the banks of the Dordogne and the Rhone, using cycle routes and paths wherever possible. There are some hills in the middle section near the northern Massif Central. This tour was launched back in 2013 and has been extremely successful ever since, offering a fun filled adventure. France’s very own end to end takes riders all the way from the English Channel to the Mediterranean Sea, whilst soaking up some stunning scenery along the way. This holiday beings with a ferry crossing from Dover to Calais. From Calais the tour heads south through the charming farming countryside of Northern France, then crossing the River Seine before continuing south to cross the beautiful Loire valley and then up into the mountains of the Massif Central and then stopping in the medieval city of Carcassone for some sightseeing. The tour then travels on over the Black Mountains before dropping down into the plains of Southern France and then onto the Mediterranean Sea in Cap D’Agde. The tour lasts a total of 16 days (15 nights) with 14 days cycling and is graded as challenging. A wonderful tour which encompasses two of Europe’s most popular must-see capitals – Paris and Prague. With an average mileage of 60 per day, the route is suitable for moderately fit cyclists. The tour begins in Paris then follows an easterly direction to Verdun before heading to meet the Rhine north of Strasbourg. It then passes through Germany to Nuremberg and Wieden before crossing to the Czech border and travelling onto its final destination – the beautiful city of Prague. Soak up the beautiful scenery of the French Mediterranean coast, from the idyllic western lagoons and the Camargue to the glitz of the Riviera. This glorious ride consists of 6 days of cycling on a fairly easy-going route with not too many hills and an average mileage of around 70 per day. This cycling holiday is not for the faint-hearted, it takes riders around the magnificent region of Provence before climbing the infamous Mount Ventoux. The tour begins in the beautiful Cote d’Azur in the town of Nice, following the coastline through Antibes and Cannes, then heading inland to Aix-en-Provence, passing through a region of stunning scenery including rivers, lavender fields and gorges before arriving in Avignon, where the route then travels towards Mount Ventoux. The tour lasts a total of 8 days and 7 nights and riding is categorised as challenging and strenuous. A fun tour aimed at regular cyclists, as well as less experienced cyclists seeking a challenge. Starting at the London Eye, the route follows various cycle paths and minor roads whilst travelling south through numerous picturesque villages and arriving at the English Channel where it heads over to France on the ferry. Upon arriving in Normandy, the tour descends the River Seine and follows the valley all the way to the beautiful city of Paris where there is plenty of time to explore the many attractions the city has to offer. 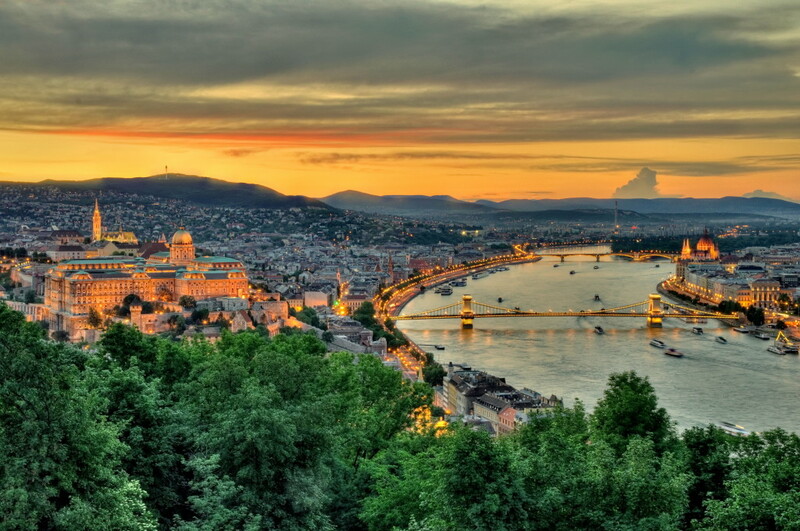 One of Europe’s most famous rivers, the Danube is also its second longest river – an impressive 2850 km, which flows from its source in Germany through 10 countries before draining into the Black Sea. ‘The Danube Way’ has long been an extremely popular well-trodden cycle route, taking in Bavaria, Germany and Austria before passing through Slovakia and ending in Hungary allowing riders to explore a variety of different European countries and their unique cultures, as well as visiting some of its most famous capital cities including Bratislava, Vienna and Budapest. The tour lasts 16 days (15 nights) with 13 days cycling and is suitable for riders of all abilities, as the route is virtually flat riding all the way with excellent signage and no traffic. An extremely popular tour, inviting avid cyclists to explore one of Europe’s most famous and iconic rivers – The Rhine. The tour involves a 750-mile ride travelling through Switzerland, France, Germany and The Netherlands. The beautiful river landscape offers some of Europe’s most dramatic and romantic scenery – our route benefits from being practically downhill all the way, travelling past Lake Constance before heading north to Strasbourg, then passing West of Frankfurt and continuing through Bonn and Dusseldorf to Arnhem. The average daily mileage is 65 making this a trip suitable for most cyclists. Renowned throughout the world for its vibrant culture, good climate and hospitality, Spain has long been an extremely popular cycling route with a wonderful diversity of landscapes to choose from. This popular route follows the Northern Way, taking cyclists on a beautiful rugged tour from the bustling northern city of Bilbao following miles of coastline before turning inland to finish in the heart of Santiago de Compostela. The average daily mileage is approximately 55 and the chosen route follows the closest paved road to the officially signed Pilgrim’s route. This road cycling tour lasts 10 days (9 nights) and is graded as challenging. 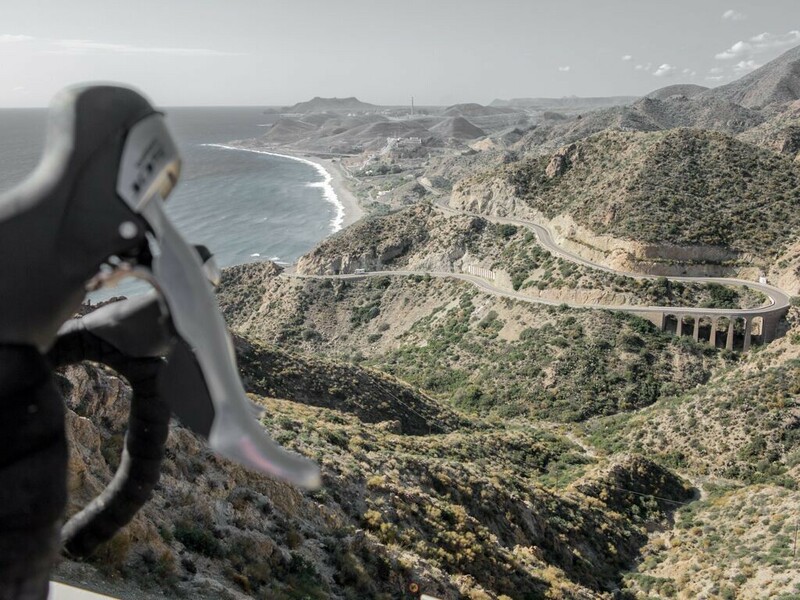 An exhilarating ride down the idyllic eastern coast of Spain, this really is a great way to explore the Spanish coast – setting off from the vibrant city of Barcelona, cycling all the way to the Rock of Gibraltar located on the tip of Spain. The route passes through numerous areas of wild natural beauty as well as some resorts with smooth beach front cycle paths to cruise along and soak up the scenery. The whole trip consists of 16 days/15 nights with 14 days of cycling. The average daily mileage is around 60 – 65 miles and is suitable for regular cyclists. One of our most popular cycling holidays, this classic route takes riders all the way from Bordeaux in Southern France across to the Pyrenees in Spain, taking in a diverse array of stunning terrain and scenery from the vast pine forests of the Bordeaux region to the splendour of the Pyrenees and beyond. One of the highlights of the trip is visiting the hilltop monastery of Montserrat and enjoying the beautiful rock formations before travelling down into the famous city of Barcelona, where there is a free day to explore before returning to the UK. This tour lasts 15 days with 14 nights and is categorised as challenging. A fantastic tour offering riders the opportunity to explore a substantial part of the length of Spain by bicycle. The tour begins in the northern port city of Gijon before heading south through the interior of the country visiting Robla, Benavente, Salamanca, Plasencia, Alcuescar, Monteserio, Seville and Bornos then finishing up in the ancient port city of Cadiz – travelling approximately 642 miles in total with an average daily mileage of 71 miles. The tour lasts 11 days, with 10 nights and 9 days of riding. Home to 51 UNESCO world heritage sites, Italy is well worth a visit – boasting a wealth of stunning landscapes, world famous cities coupled with delicious cuisine and a good climate, what better way to explore than by bicycle? Explore the Mediterranean coast of Italy with this exhilarating tour which takes riders from the famous town of Pisa all the way to the southern coast of Sicily to Catania. The route offers some truly spectacular scenery and the chance to explore some of the most iconic places in Italy including the Tuscan landscape, Naples, Pompeii and the incredible Amalfi coast, before exploring the wonderful island of Sicily. The tour lasts 17 days in total with 16 nights and 14 days cycling. Tuscany has long been a sought-after European destination, offering picturesque scenery, history, artistic legacy and fascinating culture – all of which makes this an extremely interesting cycling trip. The route starts and finishes in the city of Pisa, travelling through the glorious Tuscan countryside, and passing through Florence where there is a short day with some free time to soak up the culture. The tour involves some hills, but there are also several flat riding days – the average daily mileage is 55, making this a suitable trip for regular cyclists. A magnificent tour offering riders the opportunity to explore the stunning Adriatic Coast and enjoy far reaching views from the main land of the prolific number of islands dotted along the coast line. The tour will begin in Venice before heading out over the Italian flatlands and crossing the Istrian peninsula, it will then cross briefly into Slovenia before entering Croatia and following the coast all the way to the famous walled city of Dubrovnik. This trip lasts 9 days (8 nights) with 7 days riding and is classified as challenging – average daily mileage is between 60 and 80 miles. A magnificent 1000-mile bike ride starting at the famous London Eye then heading across the charming farmlands of central France to Basel and then over to the Swiss border. From there the tour carries on to Switzerland, Germany and Austria, then following the Rhine in and out of Lake Constance and Lake Garda before tackling the most challenging part of the tour – the Alps. Once over the Alps the last night of the tour is spent in Mestre, just off Venice Island as no bikes are allowed on the island. Portugal is well known for its beautiful scenery and good weather, making it an extremely popular cycling destination. The country offers an abundance of incredible natural beauty with stunning coastlines, beautiful architecture as well as warmth and hospitality. The Portuguese ‘Top to Bottom’ cycling route begins in Valencia on the Spanish border, taking riders all the way to Faro in the Algarve. The tour consists of a mixture of coastal and inland riding with a modest daily mileage of approximately 50-55 miles per day and is suitable for regular cyclists. Bike Adventures offer a wide variety of European Cycling holidays, both fully supported and independent – for more information, get in touch today!